Mary Powell is a highly skilled impressionist oil painter who paints scenes of the contemporary west. 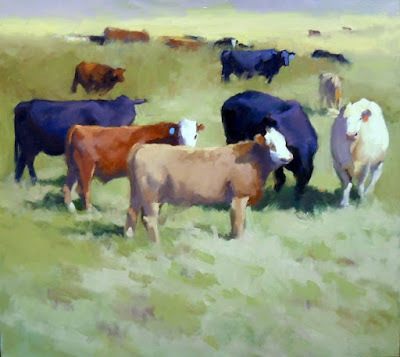 Living in the mountains of Washington State, she paints figures, landscapes, animals, still lifes and portraits. The underpinning of her works are academic but the emphasis is always on color. Mary uses a rich and soothing palette that reaches out to the viewer. Her work began at Berkeley in Abstract Expressionism and ended up in realist/impressionist painting. Mary is most interested in capturing and celebrating what she sees…the drama, color, life of the beautiful area in which she lives, the Methow Valley of eastern Washington. and her work is in collections locally, regionally and internationally. Don’t miss this rare opportunity to see a rich variety of Mary Powell’s new and older works in a solo exhibit at Mazama Country Inn!